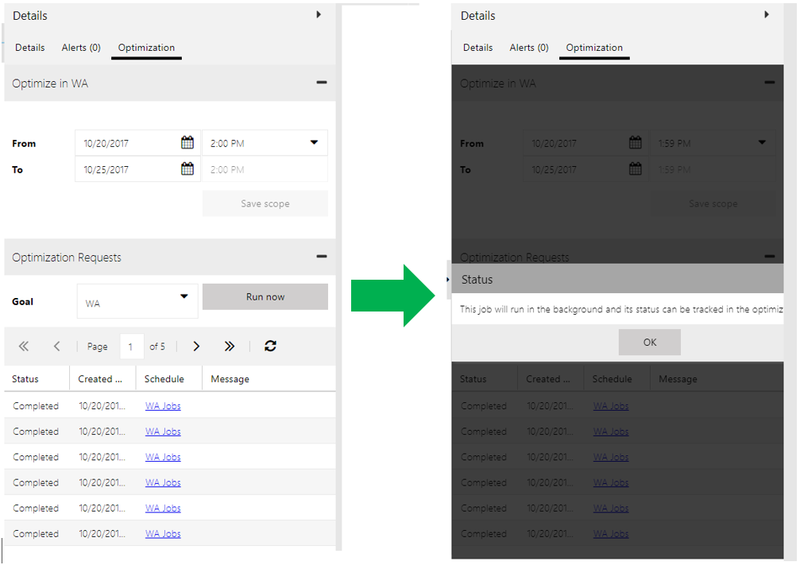 With the goal of continuously improving quality, performance, and usability, and responding to customer feedback, we recently released Resource Scheduling Optimization v1.5.17284.2 update. 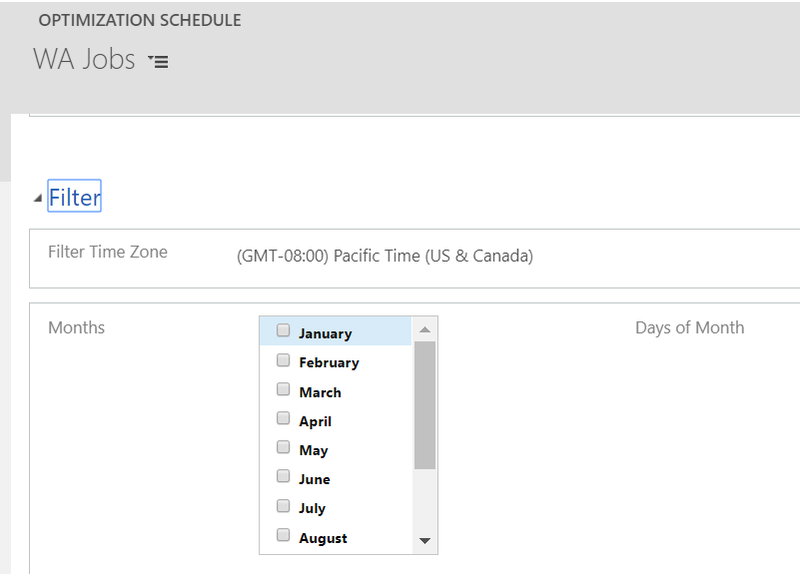 Below are the new features and capabilities introduced in this release. 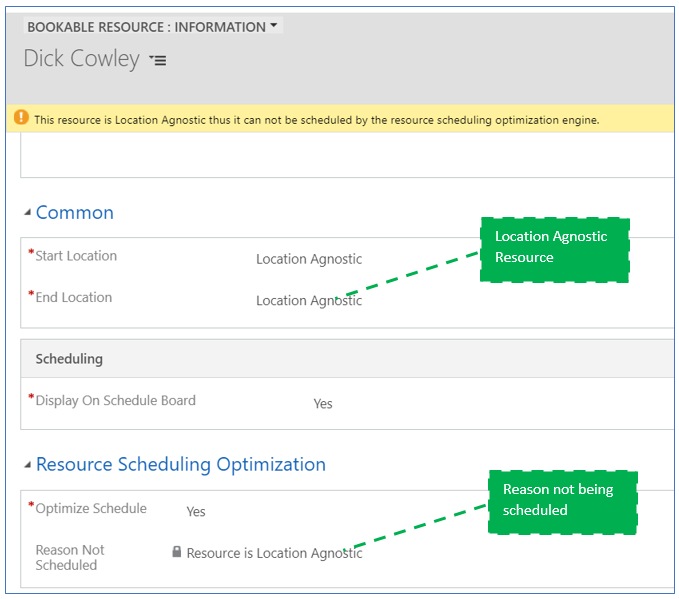 NOTE: Resource Scheduling Optimization v1.5.17284.2 update is backward compatible with Dynamics 365 v8.2 organizations, and can be deployed on either Dynamics 365 v9.0 organizations or Dynamics 365 v8.2 organizations, but the Schedule Board Integration feature is only available on Dynamics 365 v9.0 organizations. 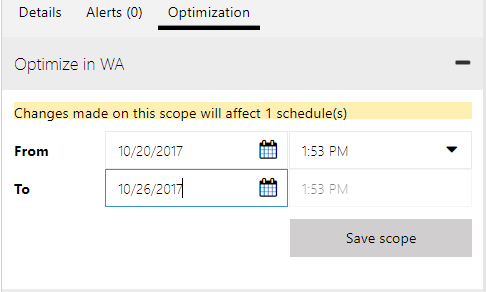 From / To date and time matches the time range defined on optimization scope, user can continue modify and then save the changes back to original scope, if the same scope being referenced by multiple optimization schedules, change will apply to all these schedules with the same scope. 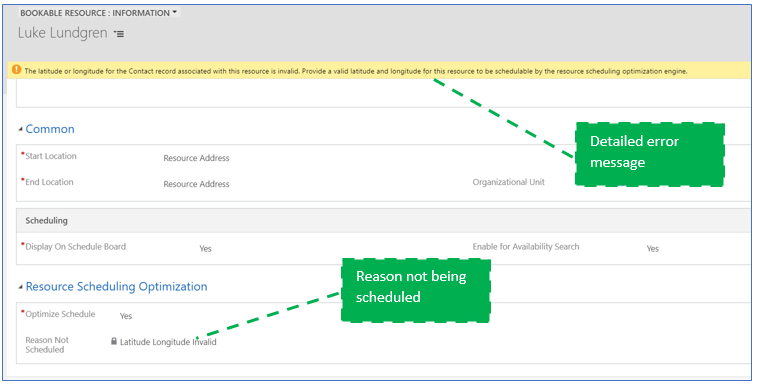 Feature Details: If any exception/error happens when optimization schedule still running, user might see overlapping on schedule board because there are some bookings created/updated from latest run while there are still some bookings belong to previous run which supposed to be deleted by latest run but failed to be deleted due to exception. To avoid this issue, we are making optimization process atomic and transactional by introducing a Simulation status. 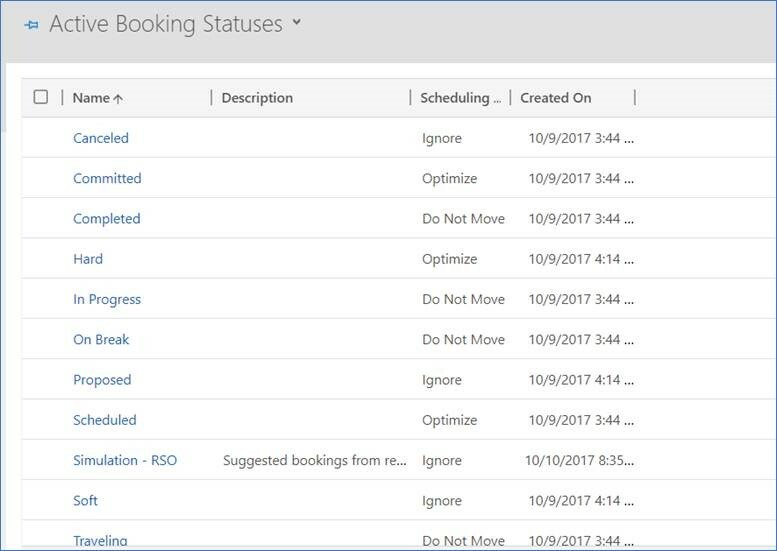 During optimization process, create, update and deleted operations are visible to the user now, all new/updated/to be deleted bookings are in a staging stage called ‘Simulation’, only if the whole optimization request completed and correctly, these simulation bookings will be flipped into real bookings , before optimization request complete, user can see some simulation status(transparent) bookings moving around schedule board until run completed , then all simulation bookings will be flipped into real bookings (solid blue color). 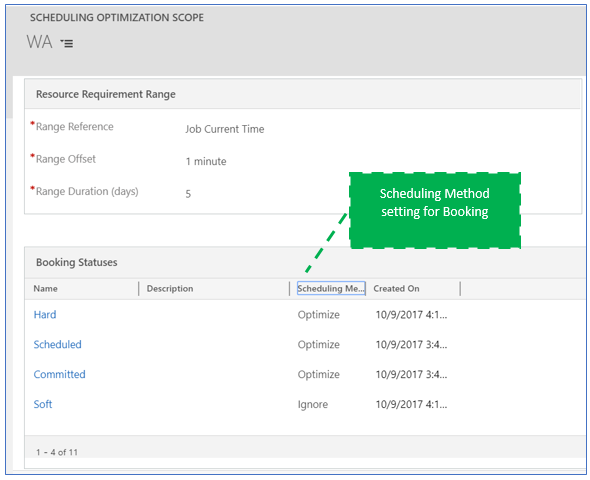 If exception happens, optimization request failed, these simulation booking will remain Simulation status for troubleshooting purpose, unless user manually deletes them or system job will delete them as well automatically every 2 weeks.